Diverticulitis is a digestive disease caused by the emergence of small, inflamed pouches in the colon. Our board-certified surgeons use advanced, minimally invasive laparoscopic techniques for diverticulitis treatment at Laparoscopic Surgical Center of New York. The cause of diverticulitis is virtually unknown, although age and diet are believed to be contributors. 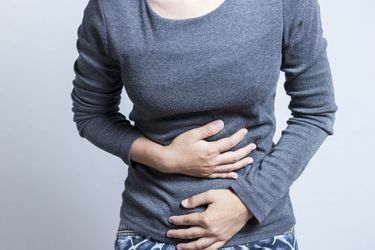 Patients with diverticulitis may experience intense pain and bleeding in the abdomen. Effective treatment at our surgical center can relieve these complications and promote a quick recovery. Along with advanced age, a low-fiber diet is believed to be the driving force for this condition. As you age, the lining of your digestive system can weaken. Without the necessary fiber in your diet, the colon is forced to work harder. This pressure can cause diverticula to develop in weak spots in the colon’s lining. When these small sacs become inflamed or perforated, it can be quite painful. In certain cases of advanced colon conditions, the use of robotic-assisted surgery can be especially beneficial to the patient. Our doctors are among the pioneers of this exciting surgical development. Robotic-assisted surgery is a laparoscopic technique that uses an advanced console and mechanical arms to improve the surgeon's precision and range of motion. Because the arms of the robot can make much more complex and small movements than the human wrist, this type of surgery can improve surgical outcome in a number of ways.